Matthew Parker’s biography “GOLDENEYE – Where Bond Was Born; Ian Fleming’s Jamaica” is as much about the noted author as it is about Jamaica’s history between the end of colonialism and the start of Independence. Parker’s book is a refresher course of all the interesting and important events that took place during this important period of our national history and he reports well on Jamaican people, places and events of the time in a vivid description of the island’s mix of wealthy English residents, snobbish Jamaican Whites holding on to the tatters of Empire, and the Black patriots and political leaders whose actions led to Jamaica today. 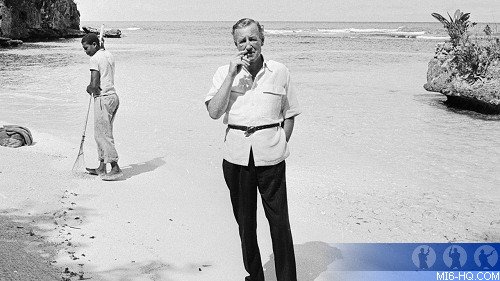 Most of all, the book shows the great love Ian Fleming had for Jamaica. It was not just the place where he wrote his books. 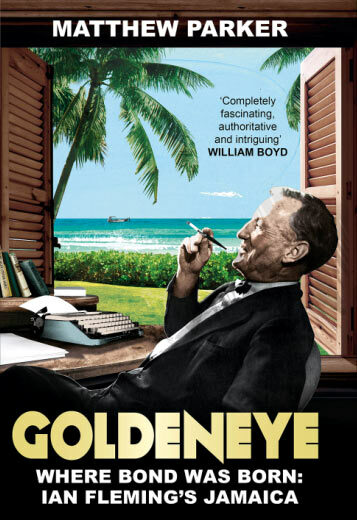 Jamaica, and his simple home Goldeneye were the true and deepest loves of Fleming’s life. The small beach below his house, the sea in which he was as much at home as on land and where his daily adventures were catching fish for lunch and challenging barracudas, moray eels and sharks, indeed the entire country itself were the only places where Fleming felt truly at home. MEMORY OF THE BRITISH EMPIRE Falling in love with Jamaica after his first visit as a British Intelligence officer in 1942, in 1946 Fleming bought land and a small strip of beach at Oracabessa and on it built a simple house where he lived as often as he could escape his life in England, hosting occasional visitors including playwright Noel Coward who became neighbour and a close friend, British aristocracy including his wife Ann (former Countess Rothemere) and eventually British PM Sir Antony Eden recovering from the disaster of Britain’s failed attack on the Suez Canal. Economic needs made him turn his travels and writing experience into a series of books that served not only to pay his bills, but which came to be the dramatic fantasies that kept alive the last embers of the fading British Empire through a hero who embodied the noble and heroic qualities that had built England into a world force. Fleming kept the house simple to escape the social circle of the times that included the English colonial governors, relics of an era now fortunately long gone. Also pictured are the wealthy White Jamaicans and British millionaires with palatial homes for winter visits, maintaining a thin crust of upper-class pretentiousness and racial superiority, while ignoring the very real Jamaica that was developing around them. RECORD OF JAMAICA’S TRANSITION Parker’s carefully researched book is full of excerpts from Fleming’s personal letters, as well as those of his wife and friends. Through these we get a clear picture of a man who, despite his love of women, clearly preferred his own company, writing each morning as a ritual, then satisfying his love of the sea with snorkel, flipper and spear gun, with which he regularly used to catch meals of fish and lobster. His wife Ann liked neither the sea nor the house, quite the opposite of Blanche Blackwell – his Jamaican lover in whom he found the perfect person to share Goldeneye with, whether Ann was there or not. SHAKING UP SOCIAL LAYERS Parker observes with some pleasure that Jamaica’s social layers were about to be shaken up, as things that had been accepted up till then were now being seen as wrong and in need of correction. 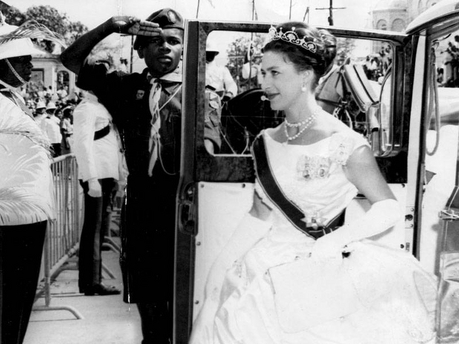 As Jamaica moved from Britain’s attempt to unite its Caribbean colonies into a manageable, but ultimately failed, political Federation, Parker writes of the lifting of what Norman Manley called ‘the dead hand of colonialism’, noting that the 1955 visit of Princess Margaret to celebrate Jamaica’s 300 years of British rule was observed without any reference to what had taken place in those 300 years. LASTING LOVE FOR JAMAICA. England was Fleming’s home and the patriotic affection he had for his country can be seen in every Bond novel. The symbolism of Queen Elizabeth 11 declaring the 2012 Olympics open with a spoof Bond moment, is an indication of how much Bond represents to England and its reputation as a world leader. But Parker’s book shows that the love Ian Fleming had for Jamaica overshadowed Fleming’s life and loves, and was amply displayed in each Bond book. Indeed, Jamaica as seen through the eyes of Ian Fleming is a most beautiful, wonderful, magical place, as much a celebrity in its own right as the many titled and famous people who visit him at Goldeneye. Parker’s book made me even more happy to be a Jamaican, and made me know and love Ian Fleming even more than I already do. A thoroughly satisfying read that will both inform and delight Jamaicans, as well as fans of that dashing, perennial hero James Bond.